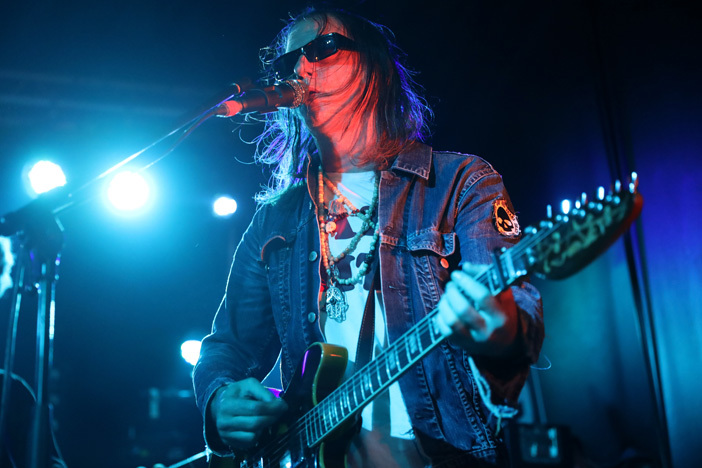 Earlier in October, the city of Brighton was blessed with one just one but two appearances from The Brian Jonestown Massacre, in the space of just two weeks. We were lucky enough to attend both sold-out nights, the second of which was added due to popular demand. 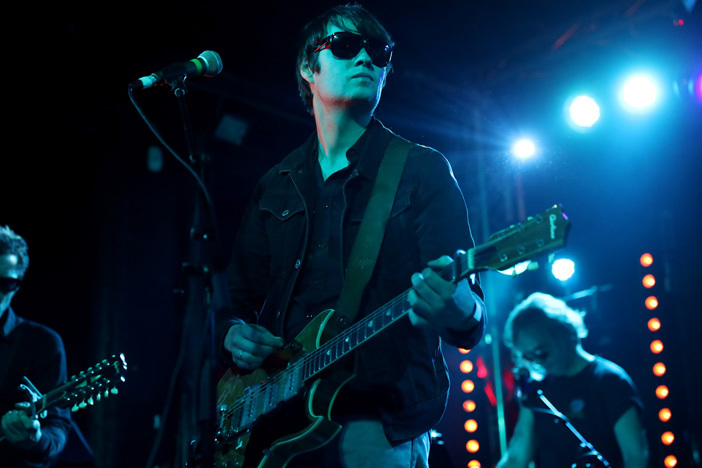 Led by the offbeat Anton Newcombe, the group’s prime creative force and one of only two remaining founding members from the group’s formation in 1990, they arrived (twice) on the south coast as part of what was a highly anticipated UK Tour. 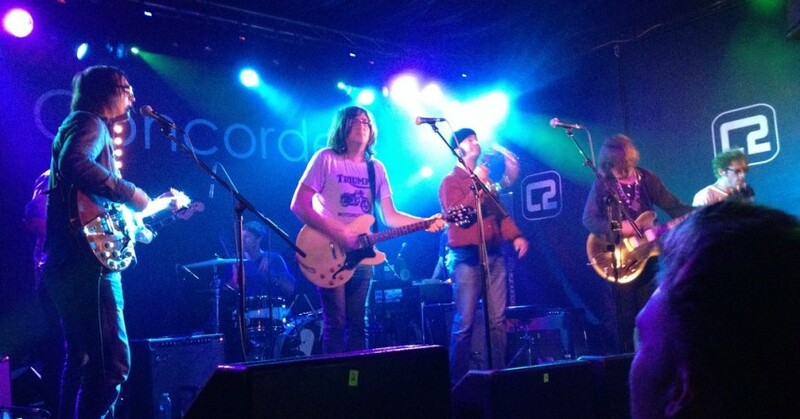 From the moment they slipped onto the stage, it became apparent that The Brian Jonestown Massacre comprises of a group of people who’ve mastered the art of nonchalance; the band, many with eyes clad in black UV protective sunglasses, idly strummed away at their instruments as if they were quite bored, but the sounds they produced never lacked inspiration. They captured the nostalgic mood of the late 60’s era, reminiscent of The Rolling Stones’ ‘Their Satanic Majesties Request’, or The Pretty Things’ ‘S.F Sorrow’, but with the twist being that it sounds all that bit more laid back and effortless; simple but enigmatic. With a seventeen-song set that touched on much of their extensive discography, they drifted through seemingly endless dreamy soundscapes with songs like ‘Pish’, ‘Nevertheless’ and the much-loved ‘Anemone’, as well as hitting us a little bit harder with ‘Vad Hande Med Dem?’ and ‘That Girl Suicide’. It’d be hard to claim their sound as highly original, but, much like the group of their namesake, The Rolling Stones, they found their niche and became masters of it. At times the songs blended into one another as blissfully and subtly as a well-crafted deep house mix, moulding the awkwardly shaped Concorde 2 into something a lot more relaxing. Their mixture of psychedelia, garage rock and shoe-gaze has a hypnotising effect; inspiring moods from elation, to relaxation, to confusion, and more often than not all at the same time. It was a melting pot of generations that could be found ticking away to the rhythms of Joel Gion’s tambourine; the diverse crowd who turned out for the experience being evidence of, and testament to, the continuing legacy and cult popularity the band has built and sustained in its twenty-eight year history. In what seldom seems to be the case for a group seventeen studio albums into their career, The Brian Jonestown Massacre put on a show that remains weird, refreshing and true to their original sound. GUEST WRITTEN BY ALFIE BAKER.